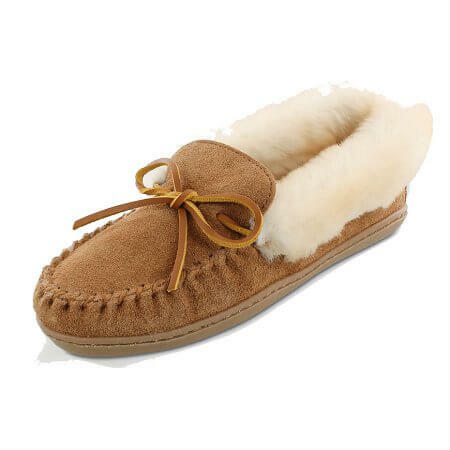 Minnetonka 3371 - Women's comfy golden tan sheepskin moccasin featuring a suede upper with rawhide lace, lined with genuine sheepskin with over the collar fur. 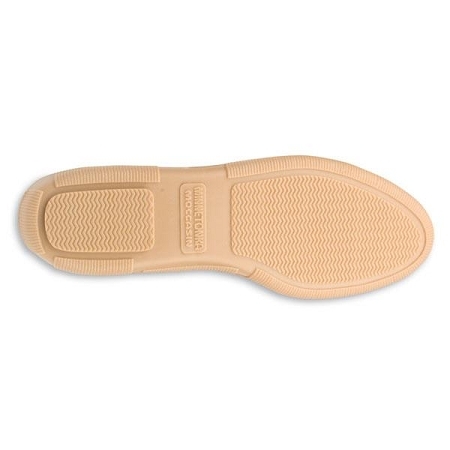 Full padded insole and lightweight rubber Fireside sole. The ultimate in cozy, cool-weather comfort. 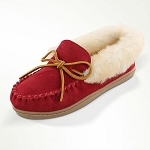 Cold weather calls for cozy comfort. 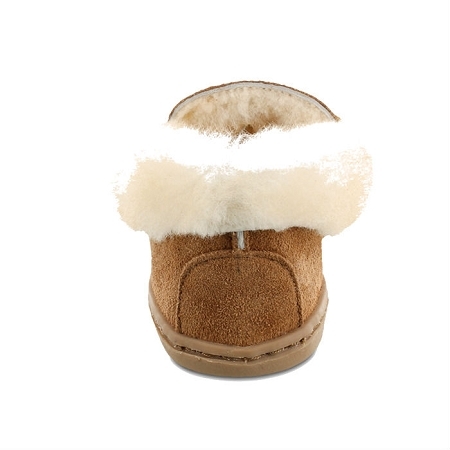 Lined with genuine sheepskin and over the collar fur this womens sheepskin slipper will provide the ultimate in warmth and comfort on cool winter days. 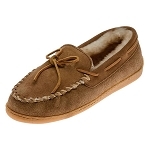 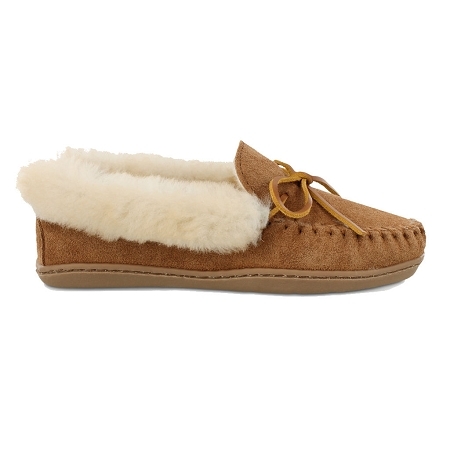 Minnetonka 3371 - Women's comfy golden tan suede sheepskin moccasin featuring a suede upper with rawhide lace, lined with genuine sheepskin with over the collar fur. 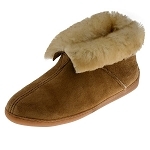 Full padded insole and lightweight rubber Fireside sole.